Preventative measures can be taken to contribute to the safety and stability of your painting. Safe practice includes regulating environmental factors and reducing the risks of mechanical damages. Dusty and dirty environments can cause damages to the painting, either by settling on the surface (and increasing acidity) or attracting further microbiological activity. Your painting is most at risk when being handled and transported, particularly from mechanical dangers. A high number of paintings that come into the studio have been damage while being in transit. Hands should be clean and grease free prior to touching the painting and gilding of the frame. Ensure the route is clear before removing the painting. Prior to removal, make sure the painting is securely fixed in the frame. Avoid touching the canvas (back or front) during handling or carrying by the stretcher bar; the painting should be supported from beneath and held on one side of the painting with the other hand. If the painting is larger help is recommended to prevent risk. In cases where the frame is particularly ornate, avoid lifting from areas of decorative detail as they are vulnerable and may become loose; instead support from the side and below. It is recommended that areas where your painting may be knocked into (behind doors/in corridors) or be at risk of spills, be avoided. The environment in which you hang/store your painting should also be considered especially with regards to temperature, humidity and light. Conditions with extreme fluctuations can be detrimental to the stability of your painting and can lead to structural distortions and in extreme cases craquelure and flaking paint. Extreme fluctuations of humidity encourages the painting to expand and contract which stresses the structure resulting in damages. It is therefore advised that a constant temperature and relative humidity is maintained. Central heating presents an issue and dries out the air. In contrast, damp rooms with high humidity encourages mould and mildew. It is advised that temperature is controlled and your painting is not stored in rooms that are heated to a high temperature in the winter. Extreme heat may also result in the softening of the paint layer which risks the structural integrity and also attracts dirt and debris. It is recommended that your painting is not hung directly over radiators, fires, heaters, hot water/central heating pipes or in rooms with open fires or where people smoke as smoke and nicotine can quickly accumulate and obscure the painting surface. Radiators and heat sources also encourage more dirt to be deposited on your painting; as hot air rises it also carries dirt with it. It is recommended that your painting is not hung on the inside of outside walls as this may encourage a dramatic fluctuation of temperature. With regards to controlling lighting, spot lights directly shining onto your painting are not advised as this causes an increased localised temperature increase. Excess light can fade light sensitive (fugitive) pigments and darken varnish. With regards to the fixtures of your painting, the hanging devices should be fixed on the sides of the frame and not the top. 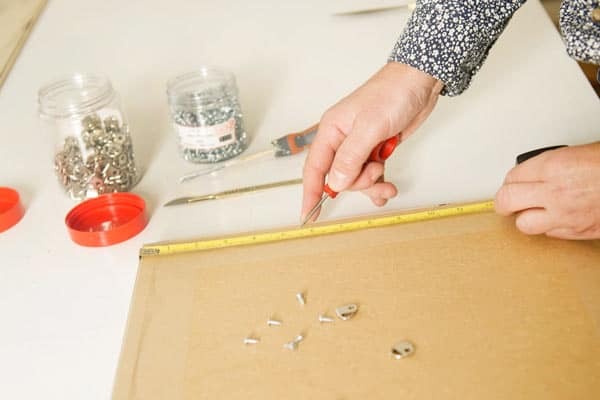 Ensure all screws are secure but crucially that the screw does not protrude out of the front of the frame. Good quality picture wire is recommended for hanging, and ensure the wire can take the weight of your picture. Alarms, if attached, should be fitted to the back of the frame or backboard instead of the back of the frame or canvas. Due to the natural products that make up easel paintings, they can unfortunately attract pests including carpet beetles, woodworm, powder post beetles, silverfish and thunder flies. To reduce the risks to your painting, maintain a clean environment to remove the food source to these insects. 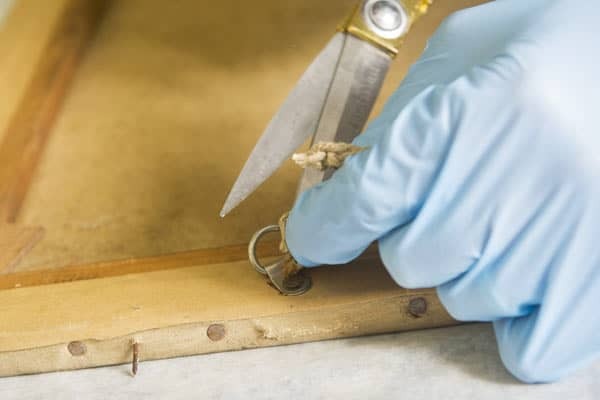 In addition, monitoring any signs of pest activity in your painting and catching the problem early can prevent any infestations getting out of control. Look for signs of holes, particularly in wooden components of the structure – the frame and stretcher. 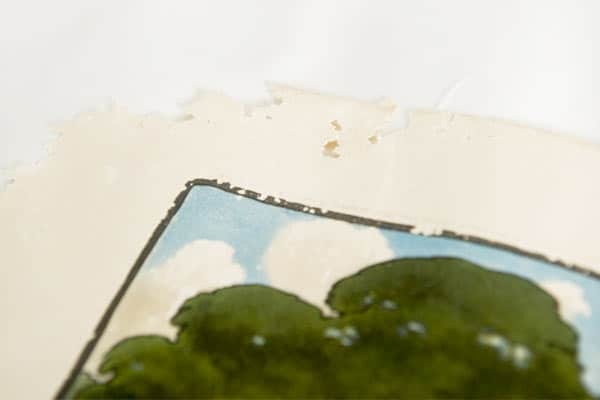 If evidence of a pest infestation is identified, it is recommended the painting is isolated by storing the painting in a plastic bag away from the rest of your collection, and consulting a conservator to assist with identification and treatment.